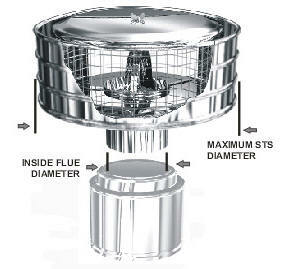 $125.50 - STS-6-S5... 6 inch Storm Shield chimney cap with 1/2 inch spark arrestor mesh. Shipping Included. 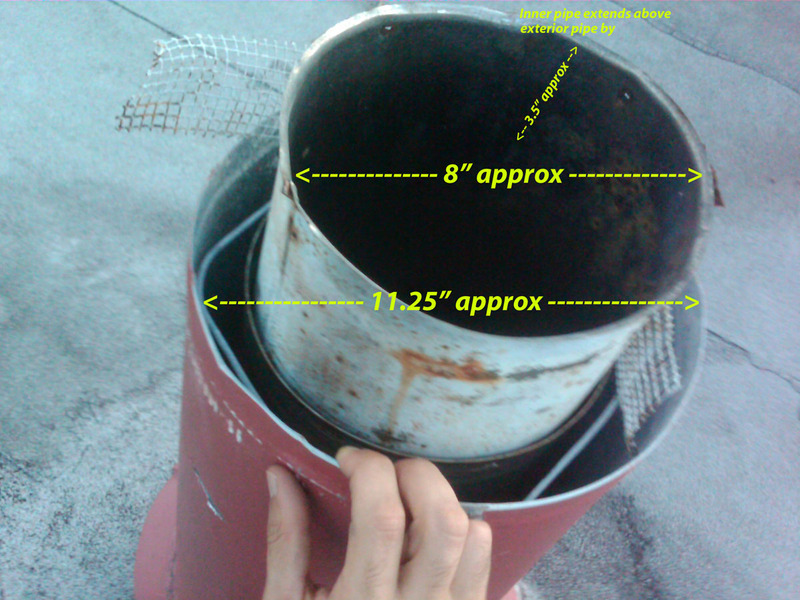 $128.50 - STS-8-S5... 8 inch Storm Shield chimney cap with 1/2 inch spark arrestor mesh. Shipping Included. 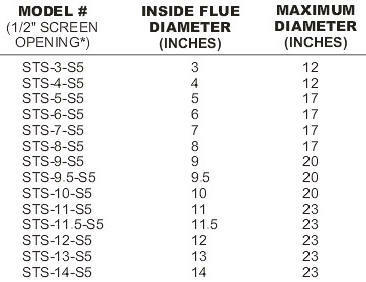 Above are options to fit the most common metal flue pipe sizes. Ideal cap for coastal locales and areas where wind and wind driven rain are prevalent. Measure and give us a call if you would like help sizing for a Storm Shield. CAUTION: An Air Cooled Chimney Cap must be used for Air Cooled Pipe. DO NOT attempt to use a standard STS StormShield Cap with air cooled pipe. Air cooled double and triple wall flue systems need an air cooled chimney cap. 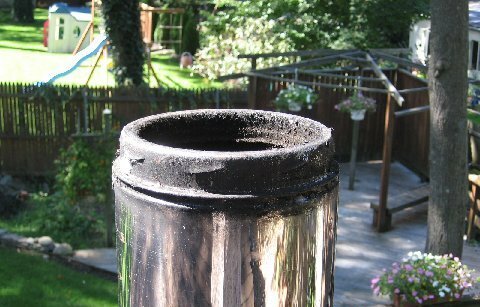 Typically... the inner pipe of an air cooled system is for smoke and flue gases. ... the larger outer pipe(s) will vary in size depending on the air space between the pipes and manufacturers design. 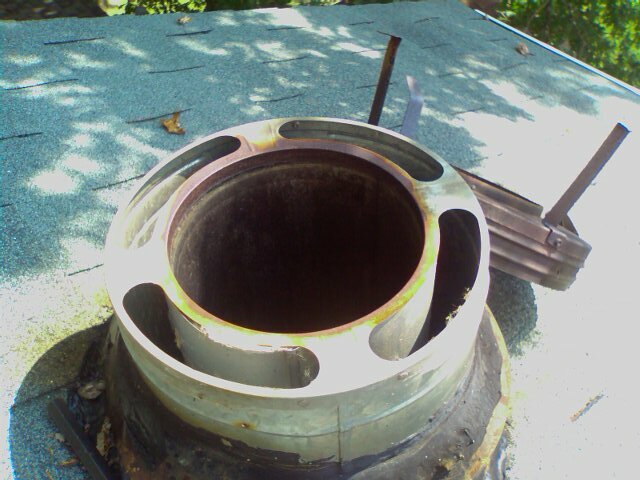 This air space needs to be vented to insure the flue systems proper function. Think you have an air cooled pipe system?... Need extra help?